Online relational database and web forms. Automate processes with simple do-it-yourself database apps. Create web forms within minutes with a drag and drop designer. ‘Database’ and ‘database administration‘ have traditionally been daunting terms for small to mid sized businesses. They conjure up images of expensive database servers, the need for elaborate database design and so on. However, the ability to organize your corporate data – contacts, leads, customer information, market information, or sales information – and manipulate it any way you like, is invaluable for any business. HyperBase’s online database management brings the power of databases to growing organizations as a simple, user friendly solution. 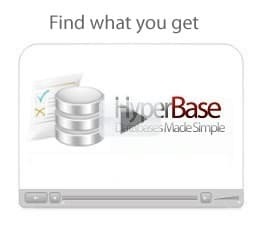 And unlike traditional databases, your HyperBase web database lets you access your database and run operations on this information from anywhere on the planet, with just a net connection – or in other words, ‘database as a service‘. you can create unlimited web based databases according to your work flow, collect information through easy to do online forms, and dig down to the specific data you want, in the form you want it, through simple reporting, querying and sorting. There is no hardware to set up, no software to download and maintain. Just sign up and get started! Microsoft Access Alternative – Free Data from Silos! Traditional database solutions like Microsoft Access or SQL database tools require a database administrator to set them up and run them, which means they are out of the reach of most small businesses. Moreover, they tie up data in silos, which means you can have access to important data only when you’re in front of your system, or within your company network. HyperBase is an ideal Microsoft Access alternative because it puts your database on the cloud, which means you can securely access and run operations on data as and when you need it, no matter where you are. And you don’t need to have a DBA certification for it! Any non-expert can access and run operations on data, or collect data through compelling and easy-to-create online forms. Empower subject matter experts to set up their own online databases and run their own data operations without any IT moderation. Collect invaluable customer or lead data through easy to set up online forms which you can publish on web pages or newsletters. 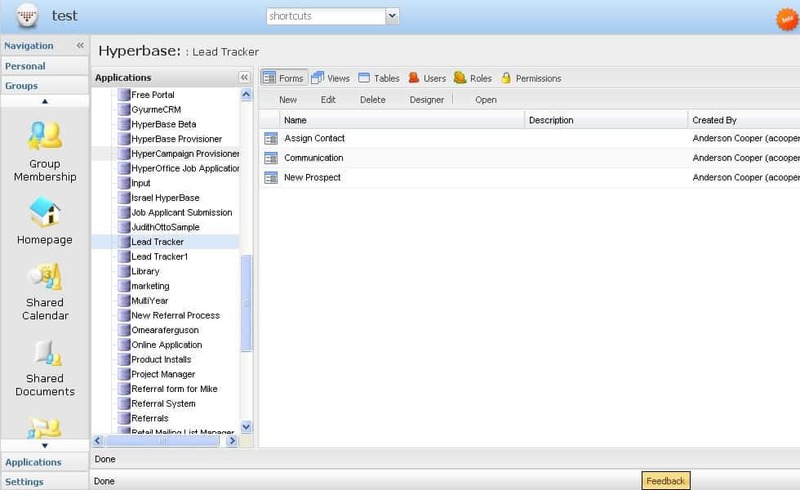 Allow traveling sales teams to add business intelligence data directly to the database using simply a net connection. Provide access to important data to teams even if they’re traveling, on any web enabled laptop, PC or Mac. No database server to set up. No database software to download or manage. Just sign up online and get started! Access and manage your databases anywhere in the world on any web connected PC or Mac. Create custom fields and databases according your company’s need and workflow, without any database expertise. Alternatively, in addition to the ability to customize databases, use our intuitive pre built database templates. ”The biggest advantage us we don't have to have any inner IT personnel dealing with servers. Simplify data collection and colation with easy to set up online forms and applications to collect data from partners, customers and employees. No need to chain your database to a sngle computer or network with Microsoft Access. Get the same power, but the ability to access important data anywhere in the world! Get the data you want in the exact shape you want with easy reporting, querying, sorting and filtering rules. Save time by importing and exporting data to your databases with simple clicks. HyperBase is completely integrable with HyperOffice, our award winning online collaboration solution. Harness the synergies of integrated database tools and collaboration tools like online document management, contact lists, intranet &extranets, calendars and more!